Established 20 years ago, Acorn Works is one of East Anglia’s leading office refurbishment firms. Predominantly working in and around the major regional centres of Norwich, Ipswich, Peterborough and Cambridge, but with successful installations all over Norfolk, Suffolk and Cambridgeshire, our experienced office interior design team is here to help with your every need. One of our experienced team will be appointed as your dedicated project manager and will take careful note of the things that are important to you, guiding you through the choices. We will carry out a full survey and translate all of these discussions into a bespoke specification and proposal for you, supported by AutoCAD drawings or 3D walkthrough graphics if required, making sure that your new offices are planned down to the last detail. If the project requires building control or planning consent, our expert team can liaise directly with your local authority on your behalf to agree a fully compliant scheme, meaning that you get the office you want whilst still ensuring a safe and comfortable environment. Ecological credentials and energy-saving concerns are paramount today. Your office can be complemented with air or ground-source heat pumps, ventilation with heat recovery, solar PV installations with low energy LED lighting and high levels of insulation. With systems available that qualify for the Enhanced Capital Allowances scheme and installations that pay for themselves in savings over very short timescales, you may well be surprised at what Acorn can offer you. The person who first deals with your enquiry will be the person that delivers your project. Bringing very specialist technical & electrical needs all together. Whether bespoke or ready-made, the right office furniture will make all the difference to your office refurbishment. Right from the initial brief we listen. We will take careful note of everything that’s important to you. You will be guided through your choices as well as any legislation and regulations that apply. We will carry out a full survey as part of the brief. Your new facilities will be planned down to the last detail. Bespoke specifications and proposals will be supported by AutoCAD drawings or 3D walkthrough graphics. We can liaise directly with your local authority where Building Control or Planning Consent are required. Alongside your dedicated project manager, a specialist team will complete your fitout. Our polite and courteous site installers are all directly-employed by Acorn Works. Your new facility will be installed with the minimum of disruption to your staff and business operations. 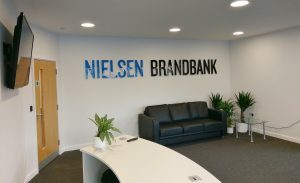 Building Refit – Norwich Nielsen Brandbank commissioned us to refit and refurbish a large building in Norwich, transforming warehousing into attractive office space for 100 people. To find out more about how Acorn Works can develop tailored solutions for your business, get in touch!